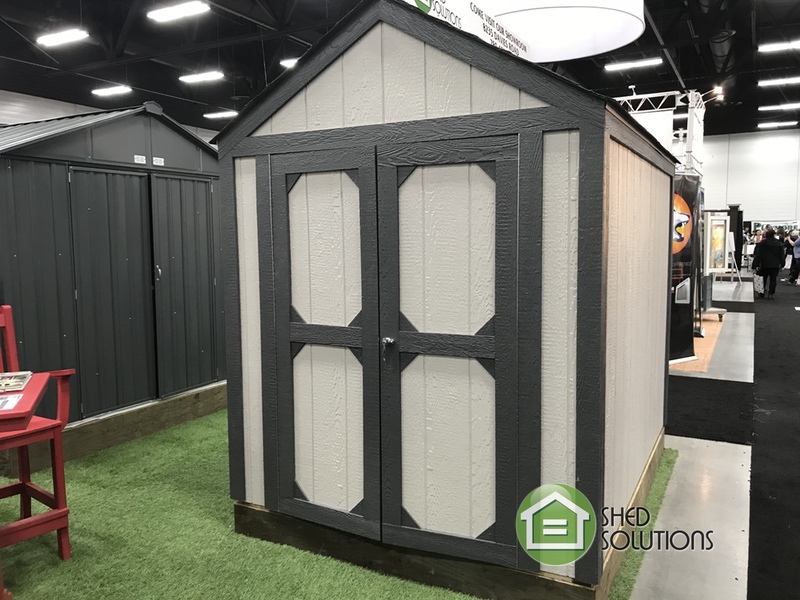 Shed Solutions offers a Do It Yourself Line of Garden Sheds. • Includes: Patio Stone Base, Shingles, Door Hardware, and more! Faster and Easier Assembly with Snap-IT Speed up the assembly process with Snap-ITTM! With up to 50% fewer fasteners compared to standard Arrow sheds, the EZEE Shed® assembles easily in up to half the time. 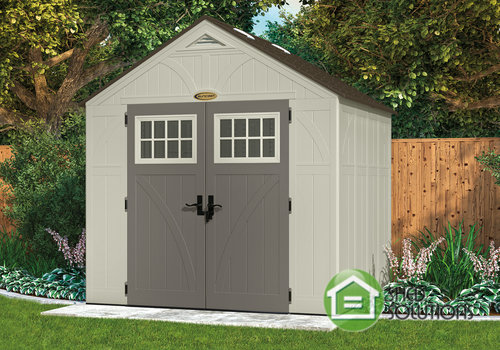 Galvanized Steel for Corrosion Resistance and Improved Bonding for a Stronger Shed. 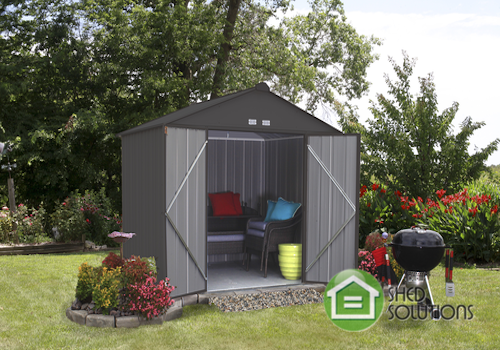 This 100% galvanized steel shed is built strong and features the Snap-ITTM assembly system’s unique bonding method which strengthens the unit for a stronger shed. Low Gable Roof and Vents. Gable vents improve ventilation and air circulation within the unit. Improved Roof Assembly Process. The roof is assembled on the ground for faster, easier roof-to-wall attachment. Framed Swing Door. Pad-lockable door to secure belongings and provide easy entry and exit of large items in addition to front wall storage.